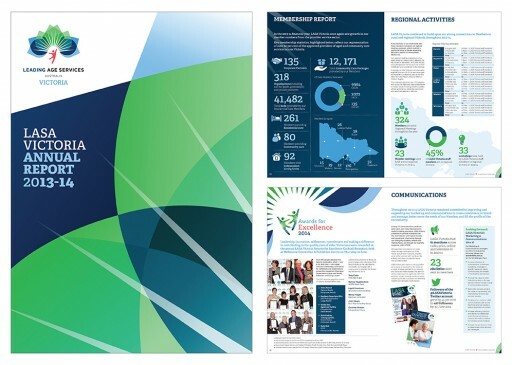 Leading Age Services Australia – Victoria (LASA Victoria) 24 page A4 Annual Report 2013-2014. 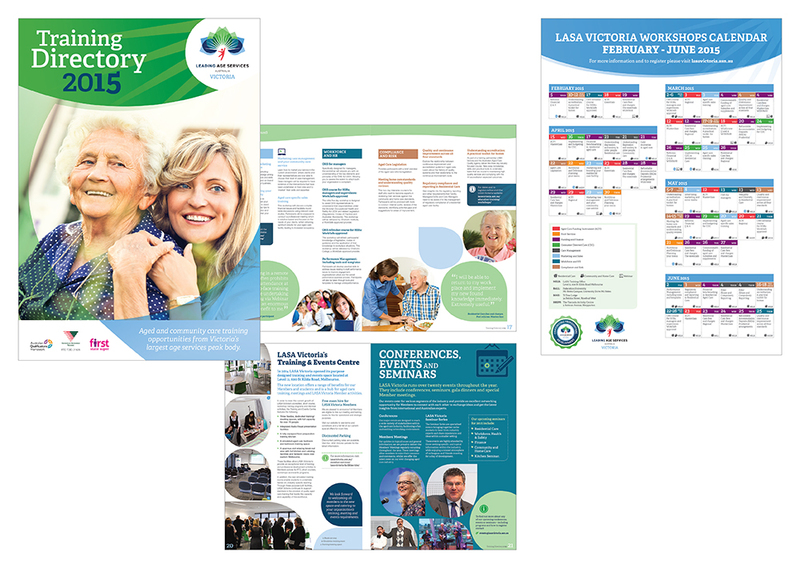 Leading Age Services Australia – Victoria (LASA Victoria) 22 page A4 Training Directory 2015 which includes a foldout A3 wall calendar. 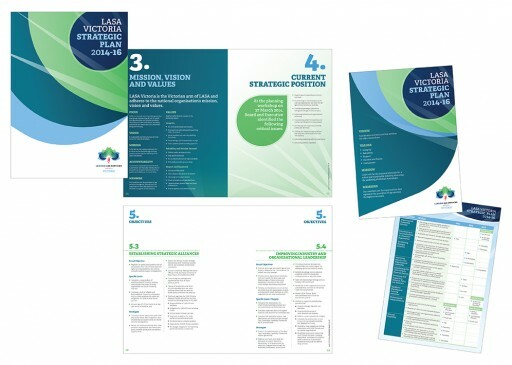 Leading Age Services Australia – Victoria (LASA Victoria) 16 page A4 Strategic Plan 2014-2016 and a 2 page A4 flyer. 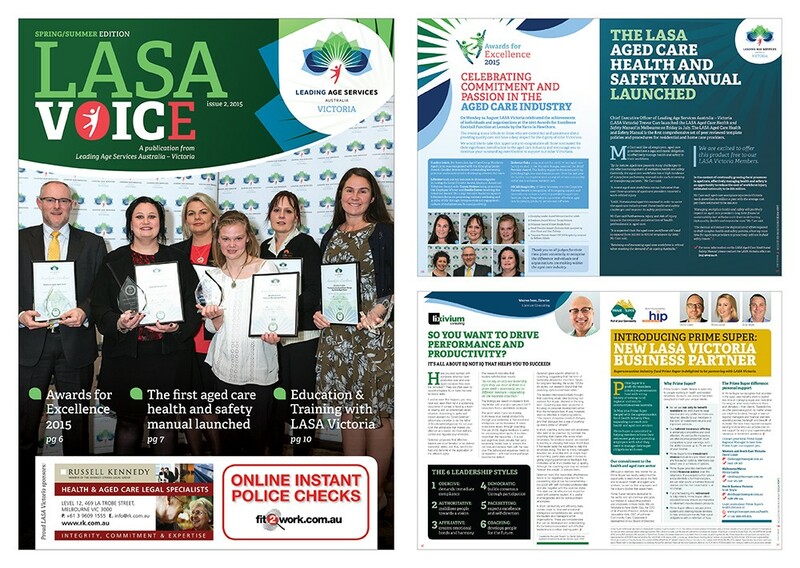 Leading Age Services Australia – Victoria (LASA Victoria) LASA VOICE Spring/Summer 28 page A4 newsletter. 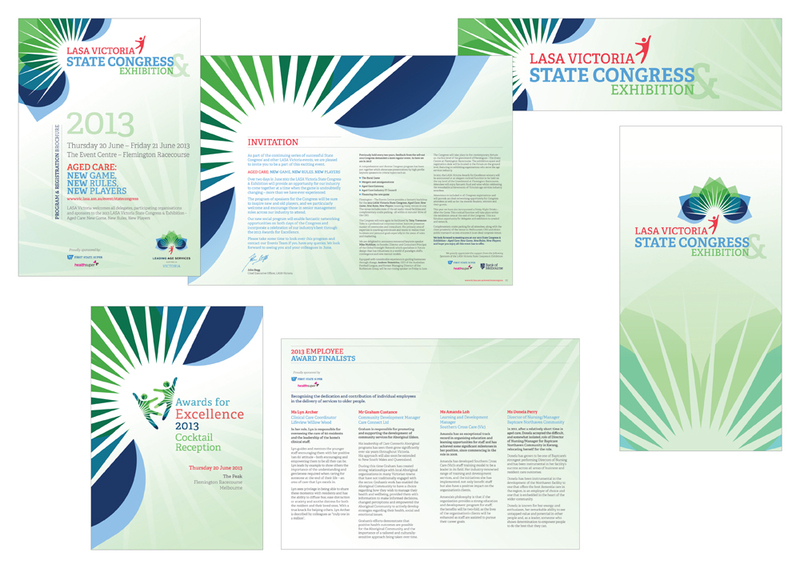 Leading Age Services Australia – Victoria (LASA Victoria) State Congress & Exhibition items include a visual identity, various banners, onsite handbook, website elements, stationary, registration brochure and awards dinner booklet. 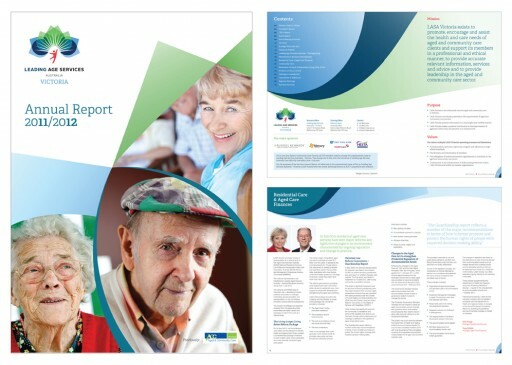 Leading Age Services Australia – Victoria (LASA Victoria) 32 page A4 Annual Report 2011-2012. Leading Age Services Australia – Victoria (LASA Victoria) 6 page trifold DL Consultancy Services flyer. 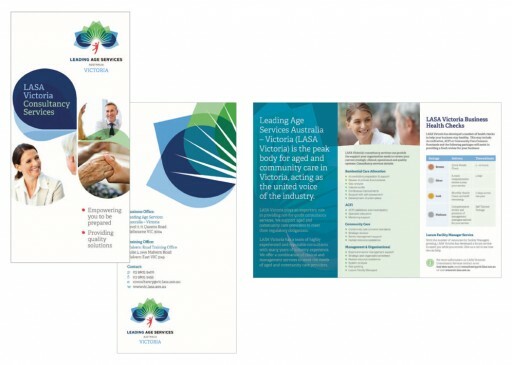 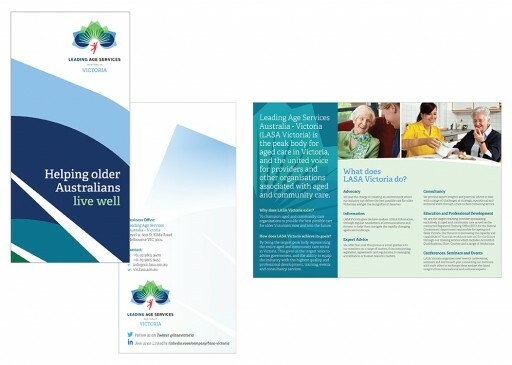 Leading Age Services Australia – Victoria (LASA Victoria) 6 page trifold DL About Us flyer.